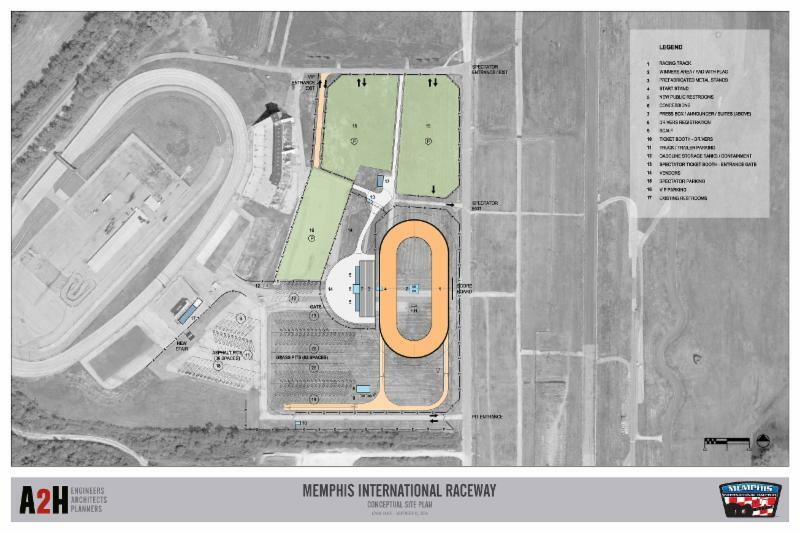 Memphis International Raceway (MIR) is pleased to announce the classes for the new 3/10-mile dirt track opening this summer. There are currently seven classes confirmed to compete at MIR. The classes include: 305 & 360 "Winged" Sprint Cars, the "Awesome Power of the" Super Late Models, "Challenging" Crate Late Models, "Sideways" Street Stocks, "Wild" Open Wheel Modifieds, and the "Mighty" 600cc Mini Sprints. "We're excited to announce the new classes for the dirt track," stated Bobby Sides, Director of Operations - Dirt Track and Special Events. "My focus has been on putting together a program that is racer and fan friendly. This facility is going to be one-of-a-kind and we want to make sure the racing and the experience is exciting each and every week." The state-of-the-art facility will be fan friendly with new restrooms, ticketing outlets, concession stand, vendor area, VIP parking, press box facilities and a mezzanine area for fan entertainment and interaction. The dirt track will also feature a large pit area with pitting available on both asphalt and grass. Racers will have an opportunity to reserve their 14 x 90 pit space for the year at a later date. Groundbreaking for the new dirt track is set for the first week of March and everyone is invited to attend. An exact date for the groundbreaking is forthcoming. Upon opening this summer, the schedule will include Friday night races as well as special events and will be announced at a later time. In addition, rules, payouts and pricing will be announced in the near future. For more information regarding MIR or the dirt track, please visit www.RaceMIR.com or call (901)WOW-Race. Social media updates can be found on www.Facebook.com/RaceMIRDirt , @RaceMIR on Instagram and Twitter.